Harrowing birth video played atformer Adelaide midwife Lisa Barrett's trial. Mum who lost twin baby during home birth gives evidence in trial of her midwife, & more in News in 5. 1. “It seemed like things weren’t right”: Mum who lost twin baby during home birth gives evidence in trial of her midwife. A birth video has been played in the trial of a former Adelaide midwife charged over the deaths of two babies during home births. A video of Tully’s birth was played in the South Australian Supreme Court on Tuesday as his mother, Sarah Kerr, continued her evidence. Ms Kerr said there were points when she was in “extensive pain” during the birth of Tully – the second of twins. “I was getting confused about what was going on,” she said. At one point in the video, Ms Kerr can be heard asking Barrett whether they need to go to hospital. “It seemed like things weren’t right but I didn’t know how,” she said. Prosecutor Sandi McDonald SC told the court last week Barrett eventually went outside the house and smoked a cigarette while she called the hospital, but an ambulance was not called even when the situation became an emergency. Tully was born in the car and, by the time he reached the hospital, he was not breathing and had no heartbeat. The court heard the second baby subject to the charges against Barrett was born to a woman who had several health issues which made the birth high risk and that the baby was in the breech position. The child was not breathing when paramedics arrived at the house, was later diagnosed with a brain injury and “a very poor long-term prognosis”, and died shortly after birth. The prosecution argues Barrett downplayed the risks involved with home birth and failed to take action when things went wrong. 2. One Nation members claim they were “drunk” during gun lobby conversation. The One Nation members claim they were "set up". Image: Getty. 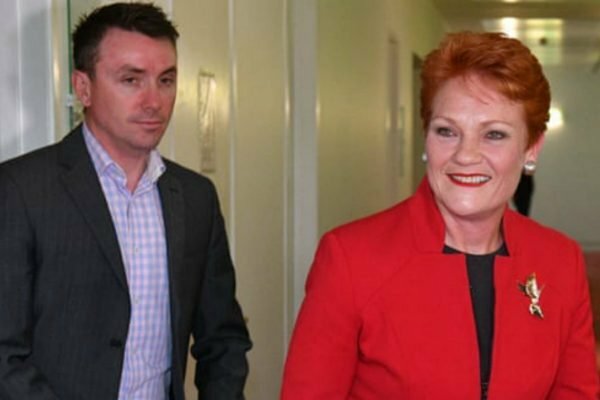 Footage from Qatari TV network Al Jazeera shows Queensland leader Steve Dickson and Pauline Hanson&apos;s chief of staff James Ashby meeting with pro-gun groups, including the powerful National Rifle Association. Mr Dickson is recorded saying that with enough funding, One Nation would get the balance of power and have control over the government and be able to weaken Australia&apos;s gun laws. He also says in one clip that with millions of dollars in funding the party would have Australia&apos;s government "by the balls". "We&apos;d arrived in America, we got on the sauce, we&apos;d had a few drinks and that&apos;s where those discussions took place, not with any potential donors, no-one but Rodger Muller, Steve Dickson and myself," he told reporters. Prime Minister Scott Morrison said One Nation was prepared to sell out Australia&apos;s gun laws. "But the fact that they were prepared to do it, if you were ever wondering why you shouldn&apos;t be voting One Nation there&apos;s a pretty good reason." Mr Dickson and Mr Ashby met with the NRA and Koch Industries - America&apos;s second largest privately held company and major conservative political donor. The NRA meeting was shortly before legislation banning foreign donations cleared parliament in November with One Nation&apos;s support. 3. 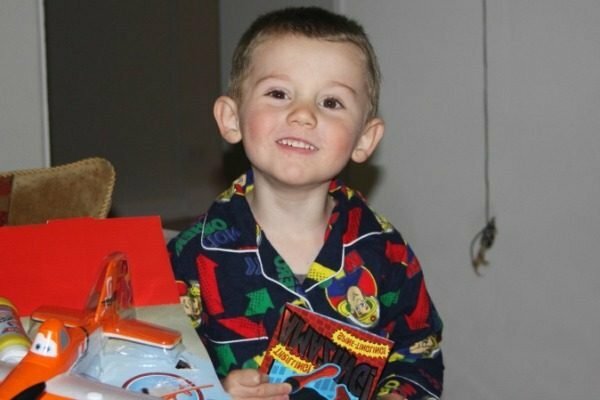 William Tyrrell&apos;s foster mother recalls hearing a muffled "scream" after he disappeared. William Tyrrell&apos;s foster mother has told a NSW coroner she heard a high-pitched and muffled "scream" minutes after the three-year-old vanished in September 2014. The woman also testified she thought he&apos;d been snatched when it went quiet while the boy, dressed as Spiderman, was playing "daddy tiger". "I couldn&apos;t hear a thing. It was silent. There was no wind. There were no birds," the foster carer said on Tuesday at a Sydney inquest into William&apos;s disappearance and suspected death. William Tyrrell disappeared in 2014. Image: Supplied. She stood in the backyard of her mother&apos;s house wondering why she couldn&apos;t hear William or see his costume as "it hasn&apos;t been that long". "My immediate thought was somebody has taken him and he&apos;s gone," she said. "When a child hurts themselves unexpectedly, there&apos;s a scream. And it felt like a scream. And it was quick, and it was high-pitched and it was sharp," she said. In a statement made to police, the foster mother said: "William&apos;s cry is quite distinctive when he&apos;s distressed." She called triple-zero at 10.56am, estimating he had gone missing at 10.30am. Continuing her evidence on Tuesday, the woman said she didn&apos;t realise until after William went missing that those two cars were gone. "In the initial stage (of searching), it didn&apos;t even occur to me those cars weren&apos;t there," she said. Anne Maree Sharpley said the foster mother was "rather upset" and told her words to the effect of: "He&apos;s either hit his head and can&apos;t answer me or somebody&apos;s taken him because he knows to answer me." William&apos;s foster father, biological parents and police are due to give evidence for the remainder of the week. 4. Measles health alert issued in Melbourne and Brisbane. Two cities and three airports are under a measles cloud as a young man is treated for the infectious disease in a Melbourne hospital. The teenager boarded an aircraft at Brisbane Airport on Thursday morning, before catching a connecting flight to Canberra which set him en route to the Victorian capital. After arriving in Melbourne, the man caught a shuttle bus from the airport to Nomads All National Hostel on Spencer Street, where he stayed until Sunday. He also attended a 7-Eleven on Spencer Street last Friday and the Chemist Warehouse on Bourke Street the following day. The man earlier visited Coles Marketplace and checked in at Brisbane Backpacker Resort last Tuesday, where he stayed until flying out of the city. The ACT has also issued a measles warning because the man was at Canberra Airport for up to an hour. Victoria&apos;s latest measles case is unrelated to a woman who attended the Melbourne Formula One GP while infectious with the disease. But it comes as Queensland health authorities confirmed on Monday a case of a man with measles who visited a number of public spots across Brisbane from March 13 to March 21. The man was at the Sportsman Hotel, the Ferny Grove train line, Fitness First gym on Elizabeth Street, as well as Palace Cinemas and Discount Drug Stores in Fortitude Valley. Victoria&apos;s chief health officer Brett Sutton said the cases are a timely reminder for people to ensure they are vaccinated. "Anyone who is unvaccinated is at highest risk of contracting measles," he said, adding that people need two doses of vaccine to be fully protected. The disease is highly infectious and symptoms include fever, a severe cough, conjunctivitis and coryza, followed by a rash starting on the face. 5. Spacesuit issue ends NASA&apos;s plans for the first all-women spacewalk.